We start with our classic Radicaster design, with the standard choice of Swamp Ash, Alder, Basswood, or Mahogany body woods. To that, we add a gorgeous Flame or Quilt Maple top – molded, or “bent” to a shaped body, to create a sloped shoulder for comfortable playing. The Bent T is available with traditional pickguard-mounted or elegant rear-routed electronics. 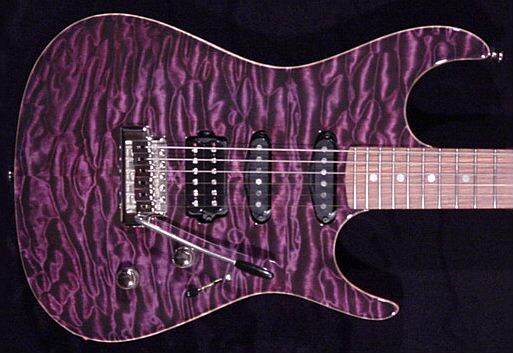 Zion design double-cutaway, solid-body featuring figured tops on your choice of body woods. 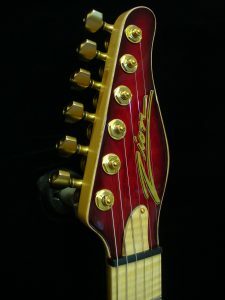 The figured tops are molded to a pre-shaped body and include a sloped shoulder for comfortable playing. 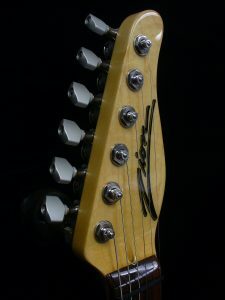 The Bent T is available with traditional pickguard-mounted or elegant rear-routed electronics mounting.